I was brought up in a very much country style, my dad is very much into the countryman's life and shooting. Whilst mum was more into horses, when I was younger I had two horses, one of which I shared with my cousins. Unfortunately my Aunt sold our horse whilst we were away and that was the end of that. I do miss the horses, and sometimes wish we still had them but I'm not sure I would be able to keep up with the upkeep with Jack and the dogs now. We still have our working dogs, our two Jack Russell's who of course have the terrier in them to hunt. Jip, the eldest used to go out with my dad in his younger days and would hunt out rats and rabbits - hes now too old and as neither mum, Ashley or myself are into that he gets his hunting satisfaction when we go walking. My Dad still wishes to bring Jack up in a country style manner, I on the other hand don't but allow him to purchase a few things keeping the peace. I'm good like that. Although one brand I love which is very much equestrian focused is Joules, and on the Country First Direct website they have a fantastic choice of items. So I've been taking a nosey are the Country First Direct website and I've made a little wish list for Jack, of items I love and wouldn't mind the boy having. I mean we live near Cannock Chase, he needs attire for all the mud we often contend with there. 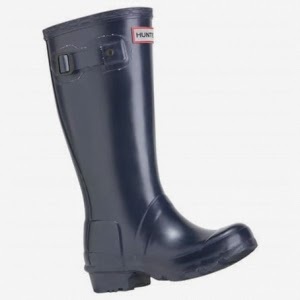 They have a lovely range of Joules clothing for boys and some hunter wellies, which we intend to get when hes a little older. I may have also accidentally had a browse through the Barbour jackets for ladies too and made a shopping list in my head. I do think my dad would be able to spend a fair amount of money on this website. What are your views on the country lifestyle? I am more of a beach person, but you cant beat getting your wellies on and going for a stop through a few muddy puddles!